Adams & Corzine car accident attorneys are available to support Citrus Heights residents who have been in serious auto accidents. A car accident can change your life in an instant. If you or a loved one were in a car accident in Citrus Heights, you need the leading car accident attorneys in Citrus Heights. Trust your car accident case to the Citrus Heights attorneys who know how to win, and have the record to prove it. 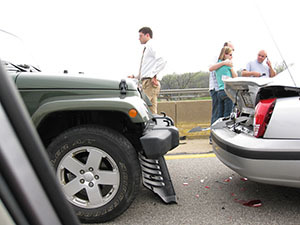 Without experienced car accident attorneys on your side you face an uphill battle. And risk losing the justice and compensation you deserve. Compensation that could pay huge medical bills. Replace lost wages. And give you justice for the emotional trauma you’ve suffered. Our Citrus Heights car accident attorneys know exactly how to negotiate with insurance companies and opposing law firms. And how to lead you gently through the court system maze. That gives you a powerful advantage facing a car accident case. And a better chance for a bigger settlement. We’ll start with a free consultation. If we’re a good fit, we’ll get to work building your case immediately. You can count on us to guide you all the way to the day you receive payment for injuries, damages and more. We also understand how traumatic this experience is for you. Adams & Corzine car accident attorneys in Citrus Heights pride ourselves on being compassionate protectors and fierce advocates. Unfortunately, insurance companies don’t have your interests at heart. They care about their bottom line. They’ve perfected ways to avoid taking responsibility in car accidents. But with our help, you’ll get the justice, compensation and compassion you deserve. Our accident attorneys have been winning car accident cases—for people just like you—in Citrus Heights for over 30 years. All types of vehicle cases, including car, truck, bus, bicycle and more. We’ll assess insurance settlement offers for fairness and accuracy. And counsel you on your best options every step of the way. Our experience gives us invaluable insight into the workings of car accident cases. Insight that will help you win. If you or a loved one’s been injured in a car accident in Citrus Heights or anywhere in Sacramento, call for expert legal help today. 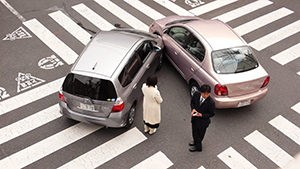 Your car accident attorneys at Adams & Corzine Law Firm have broad experience. We’ve won for our clients in negotiations and in court. And we can win for you. 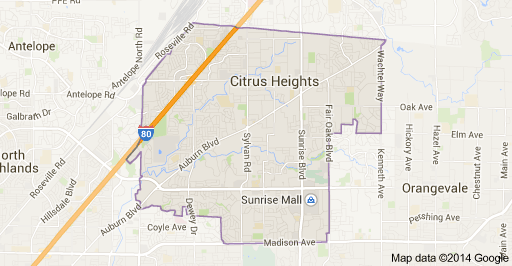 The City of Citrus Heights incorporated on January 1, 1997. Although it may seem as if the City of Citrus Heights is relatively young, the Citrus Heights area has a deep-rooted history dating back to the late 1800s and the Gold Rush days. Citrus Heights, with a population of 84,345, is a unique established community in Sacramento County. Conveniently located between downtown Sacramento and Roseville, Citrus Heights is an easy commute to nearly all major employment zones. Citrus Heights is home to a bustling retail and service industry. Sunrise Mall, newly remodeled with over 100 stores, is the heart of Citrus Heights. It is located in the center of the city, along with the Sunrise MarketPlace, a growing retail community offering a wide variety of retail, dining, and service establishments.